Post-ERCP Complications in Dialysis Patients: Cutting One’s Losses or Expanding Possibilities? Endoscopic retrograde cholangiopancreatography (ERCP)-related procedures are used for the diagnosis and treatment of pancreatobiliary diseases. Endoscopic sphincterotomy (EST) and endoscopic papillary balloon dilatation (EPBD) are used to treat choledocholithiasis. Although EST has been accepted as a standard technique for the dilatation of the bile duct orifice since it was firstly introduced, EST was associated with frequent complications. Thus, EPBD, which involves dilating rather than cutting the sphincter, has been investigated as an alternative technique for the preservation of papillary sphincter function and safer stone removal. Post-ERCP pancreatitis (PEP), bleeding, perforation, and cholangitis are common complications associated with ERCP-related procedures. The incidence of PEP was 9.7% in a recent systematic review of randomized controlled trials ; the incidence of bleeding ranged from 0.3 to 2.0%. A meta-analysis comparing EST and EPBD revealed that the frequency of PEP was significantly greater (odds ratio [OR] 2.79), although the incidence of bleeding was significantly lower (OR 0.12) after EPBD than after EST . Since the number of patients with end-stage renal disease (ESRD) undergoing hemodialysis (HD) has increased in recent years, and since the prevalence of gallstones in such patients is higher than in the general population, the need for ERCP-related procedures in HD patients is gradually increasing. Nevertheless, of the few relevant reports that have appeared, most have enrolled only small numbers of patients. Nelson et al. reported that HD was a risk factor for bleeding after EST (relative risk [RR], 8.4); Igarashi et al. also reported that hemodialysis was an independent risk factor for delayed bleeding according to multivariate analysis (OR 6.44). Only two studies have enrolled reasonably large numbers of ESRD patients receiving dialysis. Takahara et al. reviewed 37 HD patients who underwent EPBD; complications developed in 5 (13.5%) [2 PEPs (5.4%), 2 hemorrhages (5.4%), and 1 perforation (2.7%)]. No bleeding developed in any of the 33 patients who lacked additional bleeding risks (Child–Pugh class C liver cirrhosis or the use of antiplatelet agents [APAs]) at the time of EPBD. Hori et al. reviewed 74 HD patients who underwent ERCP; EST and EPBD were performed on 21 and 3 patients, respectively. The incidence of PEP, bleeding, cholangitis, and cardiopulmonary complications with all ERCP-related procedures was 7.9% (6/76), 5.3% (4/76), 1.3% (1/76), and 1.3% (1/76), respectively. The incidence of bleeding and PEP with EST was 19% (4/21) and 4.8% (1/21), respectively. 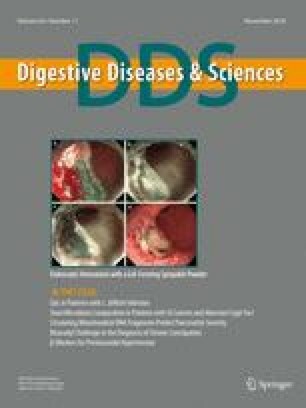 In this issue of Digestive Diseases and Sciences, Kim et al. report on the safety and efficacy of ERCP for choledocholithiasis in patients undergoing long-term dialysis on the basis of a propensity score analysis. This is the first study to compare ERCP-related complication rates between patients undergoing long-term dialysis and controls not undergoing dialysis. The previous two reported studies [5, 6] used a single-arm design; only patients on dialysis were included. Kim et al. found that the overall success rate of ERCP was not different between the dialysis and non-dialysis groups: The overall prevalence of ERCP-related complications was similar in the dialysis and non-dialysis groups (28.2 and 15.4%); the PEP prevalence did not differ significantly between the two groups (10.3 vs. 6.4%); and the incidence was similar to those reported in the previous two studies (5.4 and 7.9%). Bleeding was more frequent in the dialysis than in the non-dialysis group (23.1 vs. 5.1%). In the dialysis group, the prevalence of bleeding after EST and EPBD was 31.8 and 0%, respectively. In Hori et al. , the incidence of bleeding after EST was 19% (4/21), with one of four patients requiring APAs. The incidence of severe bleeding after EST was similar in the studies by Hori et al. (9.5%) and Kim et al. (10.2%). In Takahara et al. , the incidence of severe bleeding after EPBD was 5.4% (2/37), but no bleeding developed in any of the 33 patients who did not have bleeding risk factors other than HD. The incidence of bleeding after EPBD was low in the present and previous studies. In Kim et al., the incidence of all bleeding, and of severe bleeding requiring blood transfusion, was higher after EST than after EPBD in dialysis patients although the incidence of PEP was similar in patients undergoing EST and EPBD in the present study and the previous two studies [5, 6]. Kim et al. found that the use of EPBD reduced the risk of post-procedural bleeding in ESRD patients on long-term dialysis. We (the authors of this editorial) consider that EPBD is preferable, when possible, when treating such patients. In Kim et al. , delayed bleeding was observed in four (10.3%) patients in the dialysis group; all required transfusions and endoscopic interventions. Two of these patients had exhibited early bleeding during the ERCP procedure. In Hori et al. , early bleeding was observed in four of the five delayed bleeders. Igarashi et al. also reported that early bleeding was a strong independent risk factor for delayed bleeding on multivariate analysis (OR 4.35). Kim et al. concluded that patients exhibiting early bleeding during their procedures must be meticulously observed for delayed bleeding. Endoscopic interventions for bleeding after EST include conventional injection of hypertonic saline/epinephrine, balloon tamponade, electrocoagulation, endoclipping, and insertion of a covered, self-expandable metallic stent. Early bleeding during ERCP-related procedures must be managed in order to reduce the risk of later severe bleeding. Kim et al.’s study included 28 HD patients and 11 patients undergoing peritoneal dialysis for renal replacement therapy; the previous two studies included only HD patients. The PEP prevalence did not differ significantly between the HD and peritoneal dialysis patients (10.7 vs. 9.1%). Bleeding after EST was insignificantly more frequent in HD than in peritoneal dialysis patients (28.6 vs. 9.1%), possibly because most HD patients are given intravenous heparin to prevent thrombosis and to prevent thrombosis of the dialysis membrane. Igarashi et al. reported that heparin replacement was an independent risk factor for delayed bleeding on multivariate analysis (OR 3.76). We strongly prefer nafamostat mesilate to heparin during HD for such patients. Other possible explanations include platelet dysfunction, fibrinolysis caused by circulating toxins, alterations to vessel walls, anemia, and adverse effects of HD. In Hori et al. , we reported that the cumulative duration HD was significantly longer in patients exhibiting bleeding after EST than in others (19.5 vs. 6 years); long-term HD may initiate platelet dysfunction and fibrinolysis, increasing the bleeding risk after EST. The present study might not be able to clarify the significant differences of the incidence of bleeding after EST in HD and PD patients due to the small sample size, in particular in the PD subjects. The management of antithrombotic agents during EST is still controversial. Antithrombotic therapies (anticoagulants and APAs) are increasingly used to reduce the risk of thromboembolic events; new direct-acting agents have become available over the last few decades. Furthermore, combinations of multiple APAs (rather than ASA alone) have gained popularity. Although several reports have revealed significant associations between APA use and bleeding after ERCP-related procedures [8, 9, 10], some previous studies reported that the use of ASA and other APAs did not increase the risk of bleeding after EST [3, 4]. We sometimes perform emergency ERCP-related procedures without adequate antithrombotic withdrawal. In general, ESRD patients undergoing dialysis receive antithrombotic therapy due to the presence of multiple comorbidities. The risk of bleeding after ERCP is higher in HD patients who must remain on antithrombotic therapy because they are at high risk of thromboembolic events. In Kim et al., APA usage tended to be higher in patients on dialysis than those who were not, increasing the incidence of bleeding in patients on dialysis. Kim et al. concluded that the risk of post-procedural bleeding (especially after EST) was increased in ESRD patients treated with long-term dialysis. We consider EPBD to be preferable to EST when treating such patients. Early bleeding during EST must be managed in order to reduce the risk of later severe bleeding. Heparin should be replaced by alternative anticoagulants such as nafamostat mesilate during HD. Further prospective multicenter studies including larger numbers of patients, and evaluating other risk factors for post-ERCP-related complications, are needed. Kim SB, Kim KH, Kim TN, et al. Safety and efficacy of endoscopic retrograde cholangiopancreatography for choledocholithiasis in long-term dialysis: a propensity score analysis. Dig Dis Sci. (Epub ahead of print). https://doi.org/10.1007/s10620-018-5112-6.